Sakura is Cherry Blossom in Japanese. Ann Humphries and Georgene Huggett asked me to make a template from a drawing that Ann sent to me. I took it, and came up with Sakura. 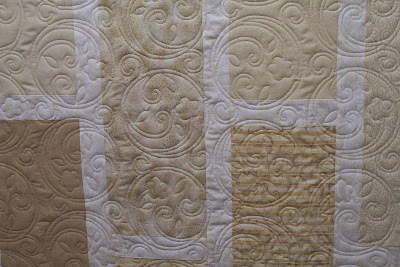 Below are some first off samples of the pattern on a quilt. The sewing is continuous from one end to the other. 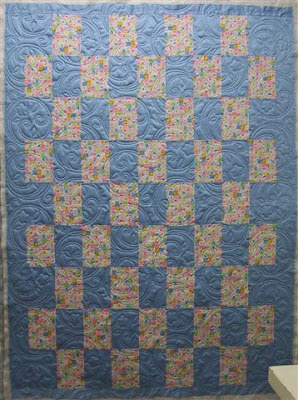 You can use a single 7" pattern in an 8 inch block, as well. We will post more as available. 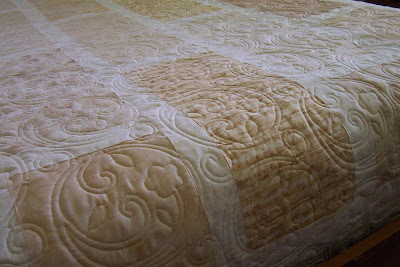 Michael, I have just stitched Sakura on a new customer quilt, and I omitted the leaves! The pattern goes much faster this way, and really looks just as good. If anyone is finding Sakura too tedious, this might be their answer. 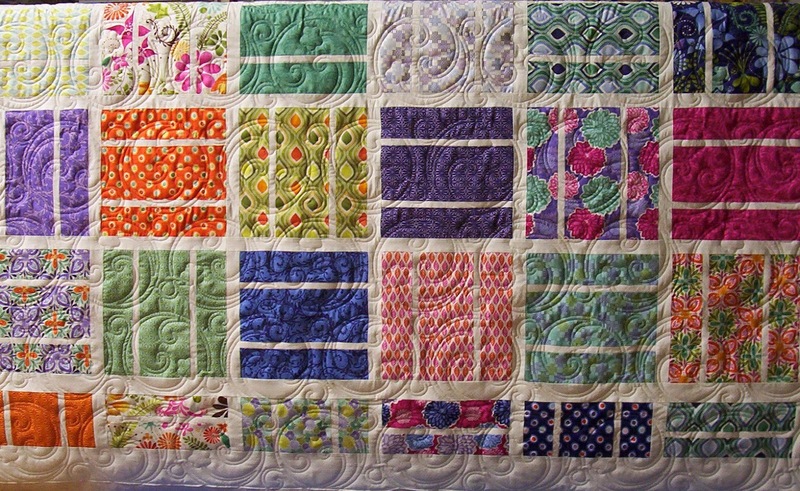 This quilt was made by Joan Sievenpiper of Gainesville, GA. The 2 section Queen is 95 inches by 15 inches high. 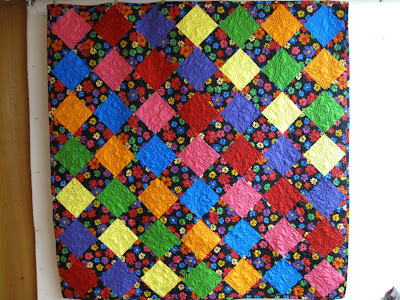 The 2 rows are 14 inches high. Copyright © 2009 Loricles Circle Lord. All Rights Reserved.